aprilpark777 has no other items for sale. Immediate payment of AU $166.82 is required. 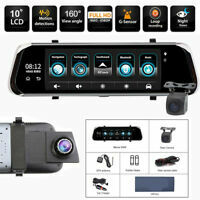 Easy to install with front and rear camera, has the ability to switch between front and rear cameras. Offers a hard wiring option also which I recommend if you don't want to use your cigarette lighter socket. Great option to take snapshots at a moments notice which a great feature. The unit just works without any worries. 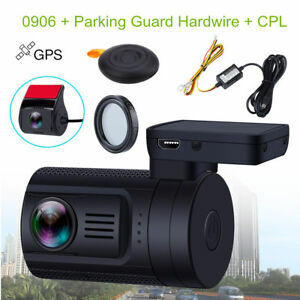 For a unit at this price its great value for money and also offers its own playback application when viewing recorded footage along with speed and GPS location capabilities. Overall good with a few issues. The front camera is good & small enough for no one to see. For the last month since I had it I didn't have any problems. 1. There should be an optional 360-degree windshield holder in case I needed to record something inside or on the side of the car. (in an emergency) 2. There should be a rearview camera that is fixed outside of the car and not inside. 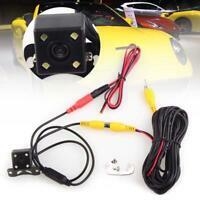 The rear cam would do a good job in good weather condition and in traffic. In case someone hits the car from an angle it barely will see the number plates because of my boot or in case of a rainy day. 3. The parking feature has to be fixed where it will start recording immediately instead of taking a few seconds. For such a small unit size and reasonable price, this is a great investment for me. The GPS logging and the cameras work very well. You can use the rear camera to check for unseen objects or maybe kids behind your car before going in reverse, which is extremely useful if you don't have a rear-view camera installed. Do not expect all the details, like a license plate 20 meters away, to be crystal clear especially at high speeds, but all your immediate surroundings are captured in high quality, which might come in handy say in case of an accident. Entry level but with flaws. The kit is great, has everything you might need to setup. Contains cabling that is easy to lay throughout your car. Has a optional direct battery wiring. The aux power plug has a USB plug point for your other devices. 1080p recording front and back. Remote button with very simple operation to either take a photo or lock a video. Extensive menu for tweaks. The flaws: Night recording is very very grainy away from street lights. It gets very very hot. Recorded it gettting to 90 degrees plus celcius. This is a concern since most micro sd cards are heat rated to less then that figure. The final flaw is the device's software has a gltich. Every so often the remote wont work, to fix you have to remove ALL power for about 30 sec and then repower. This to me is a very serious flaw since the remote simplifies the locking a recording. The wiring diagram shows that the camera has a control box with 3 wires (positive, negative and ground). The hard wire only has 2. A little confusing as it seems the booklet is for another camera.